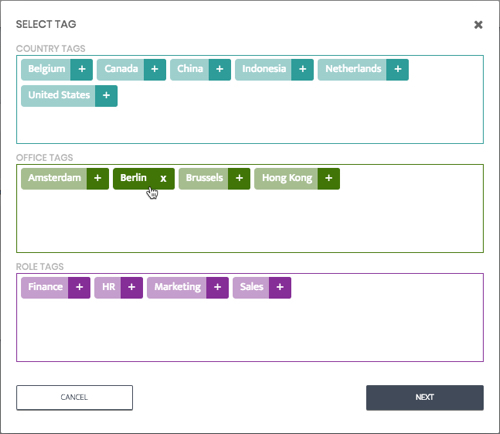 Contextual Tagging makes it possible to show users solely the content that is of interest to them. You might have content that is only useful for a specific country, office or job profile. It’s possible to add Contextual Tags to Menu Items as well. How does it work? 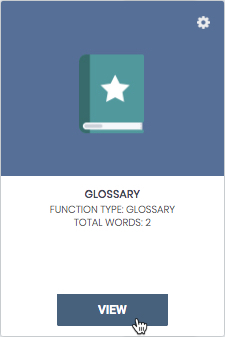 You can create a global course for example and create a tag for each item (word, person in the people finder, checklist item in the checklist, question in the FAQ) in a Menu Item separately. Step 1. Navigate to courses in the menu. Step 2. 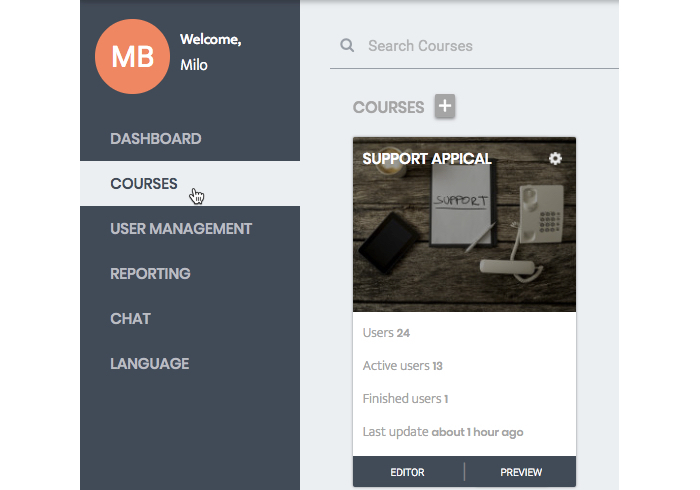 Next, click on ‘editor’ in the bottom left corner of the course where the menu item is located. Step 4. Navigate to the Menu Item and click on the gear icon to open the menu. Step 5. Select 'Enable tags'. Step 6. Choose whether you want to select the tags per Category or per Item. If you select 'Per item', you will have to select the tag(s) for each item (word, person in the people finder, checklist item in the checklist, question in the FAQ) separately. If you select 'Category' you can add the tag(s) to a category instead. All items within this category will have the tag that you add to the category'. Check out this tutorial for more information on how to create and work with categories. 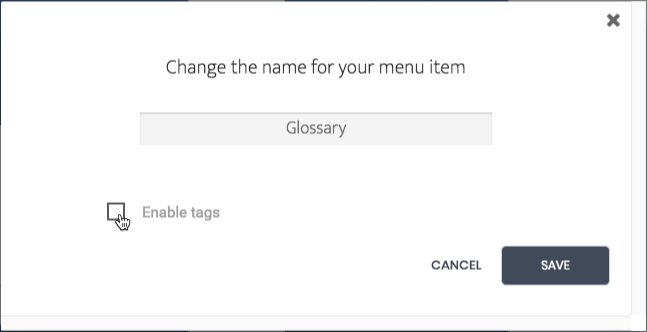 There are two options to assign Tags to Menu Items per Item. Step 1. Navigate to the Menu Item and click on 'View'. Step 3. Select the Tag that you want to assign to the items. Step 4. 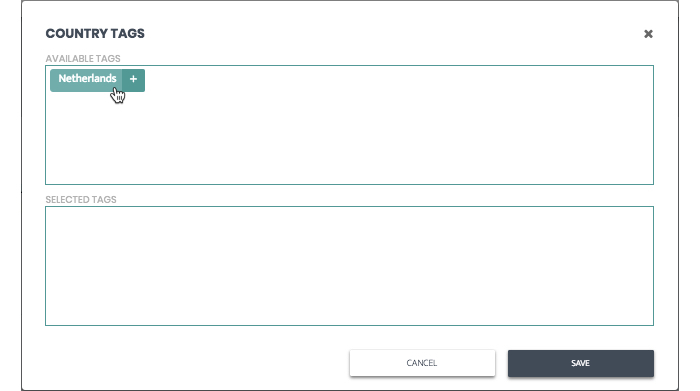 Select the items that you want to assign with the tag that you selected in the previous step. Step 5. Click on 'Save'. Step 2. Click on the pencil icon next to an item to edit. Step 3. Scroll down to the tag section and click on 'add' next to the type of tag that you want to add. Step 4. Click on the Tag that you want to add to this item and click on 'Save'. 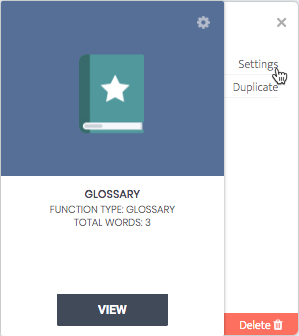 ** Check out this tutorial for more information on how to create and work with categories. Step 1. Make sure you have selected 'Select tags per Category first. See step 6 from the first part of this article. Step 2. Navigate to the Menu Item and click on 'View'. Step 3. Click on 'Categories' in the top right corner of the screen. Step 4. Navigate to the categorie that you have created and click on the 'Tag icon' next to the category. Step 5. Select the tag(s) that you want to add to this category and click on 'Save' when you're done. 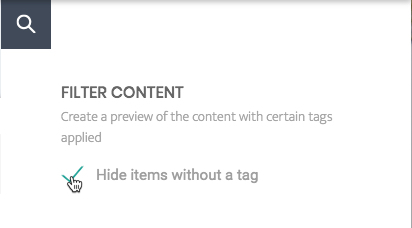 We created a filter to give you a clearer view on content with tags. To open the filter press the Magnifying Glass icon in the top right corner of the screen. Select the tag in the dropdown menu to create a preview of the content with that certain tags applied. The Stories shown in the preview are the stories available for users with that certain tag. You can hide the items without tags by clicking 'Hide items without a tag'. It will only show items that currently have a tag.